While Torii already provides a wide range of details that can be stored for each SaaS application, you and your team will now have the power to add any information you need tracked. Customers who've had early access to this feature are already using it to track GDPR compliance, assign applications to business units, track security aspects and more. This enabled them to store all their SaaS data in one place and say goodbye to their Excel files. Getting started is simple — open your Torii dashboard, Settings and then "Application Details" tab. 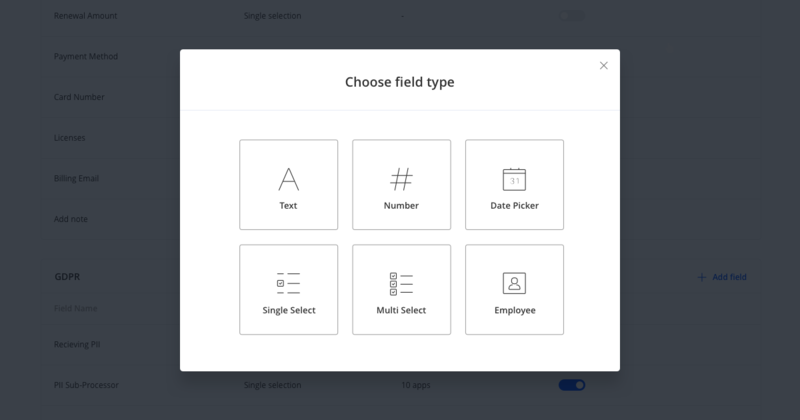 There, you will see all of the available fields and the options to customize them. Any custom field you add will immediately become available in all existing Torii features: advanced filters, searches and application forms. > The feature is rolling out today, to all accounts.